Established in 1976, Charles Ervin Violins, Inc., specializes in fine stringed instruments. Our activities include construction of new instruments and bows, as well as restoration and sale of classical Italian and other fine instruments. Our new instruments and bows follow outstanding classical models to assure fidelity to the ideals of the finest Italian violinmakers and French bowmakers. Among our recent notable restoration projects have been a Gaspar da Salo tenor viola, a Peter Guarneri of Venice violin, and a Dom Nicolo Amati cello. We have also performed repairs on Stradivarius and Amati violins and cellos, Gagliano family instruments, and other classical stringed instruments. Music making is a partnership between a musician and an instrument. The skill of the player and the quality of the instrument combine to bring music to life. We assist musicians in obtaining instruments and bows that will enable them to create beautiful music and grow musically. We approach our work from a player's perspective, acknowledging our clients' tonal objectives and working together to achieve them. 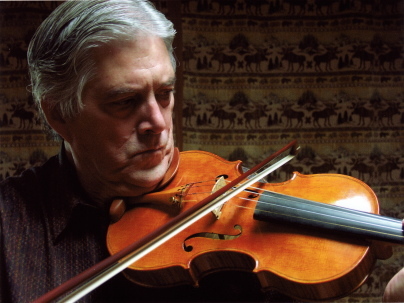 VIOLINMAKER CHARLES R. ERVIN, PH.D. has received consistent praise for the close similarity between the tone of his instruments and that of classical violins. One of the most highly educated professional makers working today, with a B.A. from Yale and a Ph.D. from the University of Texas at Austin, he has been able to combine scholarship with craftsmanship to produce instruments of extraordinary quality. Dr. Ervin lived and studied in Cremona in order to retrace the beginnings of the violin. While there he found many ancient documents that shed light on the lost secrets of violinmaking. Using these sources and basing his work on exceptional examples of the classical masters, he is succeeding in reestablishing their elusive art. Dr. Ervin maintains a research program and frequently returns to Europe in his search for deeper understanding of his art. He is skilled in instrument restoration and is highly regarded by musicians throughout America and Europe.